The Four Peaks Group came together in a unique way. Mike needed an Arizona Thrivent Financial rep after his mother passed away in Wisconsin, and Jerrod answered that call. Mike was then recruited by Jerrod to change careers -- and the rest is history. Our team values helping people meet their financial goals and working alongside them in the community. We'll help you make decisions around your insurance, investing and retirement planning needs by getting to know what really matters to you. We've volunteered for a Thrivent Builds trip with Habitat for Humanity in El Salvador, formed a team in American Cancer Society's Relay for Life and we're both heavily involved with our respective churches. 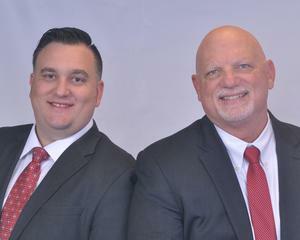 Mike brings a strong local network to The Four Peaks Group, while Jerrod brings years of experience in the industry.